UK lawmakers on Tuesday night (15 January) voted down the Brexit withdrawal agreement negotiated with the EU over Britain's departure from the bloc in March, in a historic defeat that will define Britain's future for decades. The House of Commons rejected the deal by 432 votes to 202, a massive defeat by 230 votes - believed to be the biggest government defeat in recent British political history. Opposition Labour leader Jeremy Corbyn immediately called for a vote of no-confidence in the government that will be debated, and most likely voted on, in parliament on Wednesday. Corbyn called the vote "greatest defeat for a government since the 1920s". British prime minister Theresa May said she heard the MPs' message, but said that the parliament's vote "tells nothing about what it does support. Nothing about how, if even, it intends to honour the British people's decision," May said. 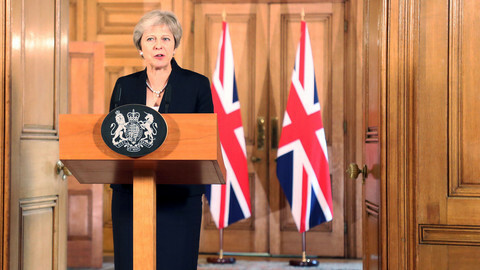 May said if she survived the no-confidence vote, she will hold talks with the other parties to see what solution might be acceptable and that she will then go back - again - to the EU to consider new plans. Even though 118 Tories voted against the government, May's Conservatives are unlikely to support toppling their own prime minister. May has just survived an internal no-confidence vote within her party in December. 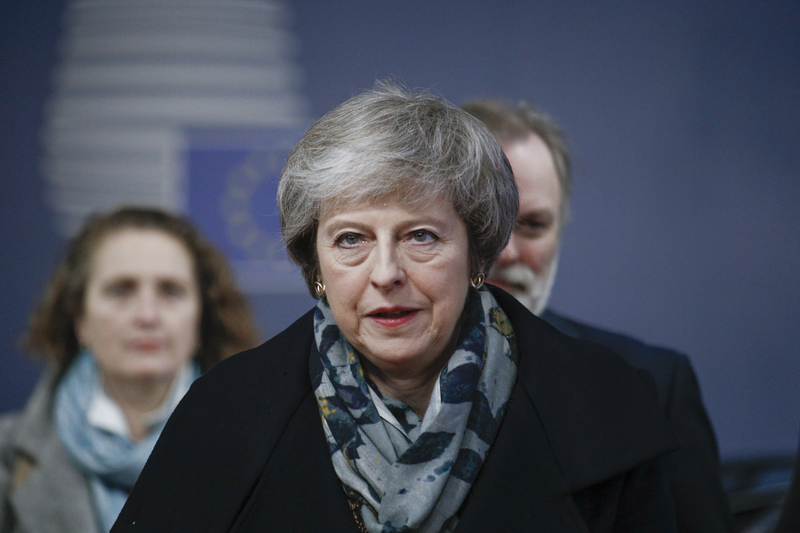 In her speech to MPs on Tuesday evening before the vote, May warned MPs that they risked deepening the disunity, security and long-term economic partnership with the EU if they voted down the deal. She also warned that a no-deal Brexit would damage Britain and that a second referendum would drive the British people further apart. Before the vote, Corbyn had already called for a general election. He argued that elections would give a new government a mandate that would the break the deadlock in Brexit talks. May said that would only serve Labour, and that after any election, the choices facing the country would remain the same. Corbyn said renegotiations cannot be ruled out if MPs reject the current deal. In a message directed at Brussels, he said: "If parliament votes down this deal, then reopening negotiations should not, and cannot, be ruled out." The EU had earlier ruled out any more talks. EU Commission president Jean-Claude Juncker returned to Brussels from Strasbourg on Tuesday evening, from the European Parliament's plenary meeting where a Brexit debate is scheduled to take place Wednesday morning, to deal with the fallout from the Brexit vote. In a statement after the vote, Juncker said that he "takes note with regret" of the outcome. "The withdrawal agreement is a fair compromise and the best possible deal. 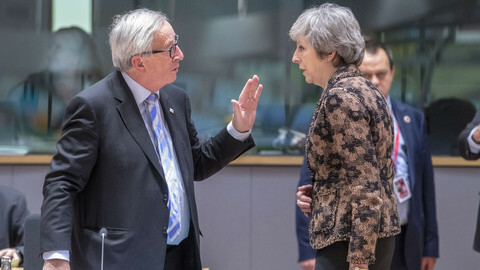 […] It is the only way to ensure an orderly withdrawal of the United Kingdom from the European Union," Juncker said, adding that the possibility of a no-deal Brexit increased and preparations for that continue. "I urge the United Kingdom to clarify its intentions as soon as possible. Time is almost up," Juncker warned. In the wake of the catastrophic defeat for May, the EU will wait for the British PM to interpret the result and decide what to do next. There are a handful of options, but none of them are appealing to the UK government. One possibility for the UK is to ask for an extension of talks with the EU beyond the 29 March Brexit cut-off date. 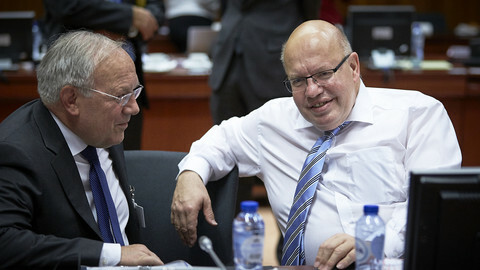 The EU-27 have to agree unanimously to grant a period for further discussion with London. In Brussels, diplomats say that is likely to be granted if there is a change in London's strategy. But if the request is just to spend more time asking for assurances from the EU that the bloc has already said it will not give, the EU-27 might be more reluctant to give more than a few months more to May. An extension would not mean that the EU is ready to open up the withdrawal agreement for further discussion, particularly not the backstop. "The backstop cannot be renegotiated," said an EU official. 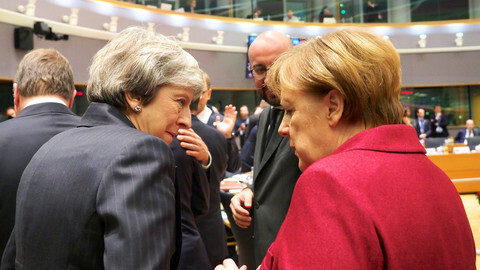 The EU wants to avoid being blamed for a no-deal Brexit, and an extension is unlikely to be blocked by member states. "It will be difficult to say no," said one EU diplomat. 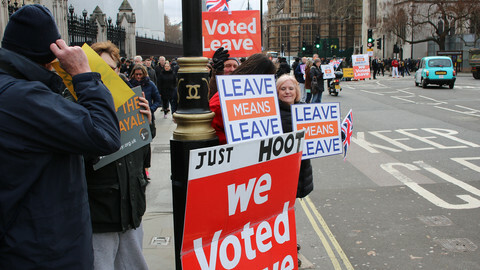 However, the upcoming European elections cause a problem, as the UK would need to participate in the May vote if it remains, even temporarily, as a member. That poses a question on how, and for how long, would they retain its 73 MEPs, as the parliament has already decided to reduce its numbers from 751 to 705 to reflect the UK's departure. Some member states also fear that populist forces will use Brexit as a tool in the election campaigns, claiming it 'proves' the EU is a federalist super-state that will not let its members leave. May could also decide to travel back to Brussels and seek concessions if she survived the no-confidence vote. EU leaders have said repeatedly, however, that the withdrawal agreement cannot be renegotiated with Brexit day only two-and-a-half months away. May could even revoke, unilaterally, Article 50 and the entire Brexit procedure, doing a complete U-turn. The European Court of Justice recently ruled, contrary to the legal opinion of the commission and council, that the member states initiating Article 50, the withdrawal procedure, can also unilaterally withdraw it. With Tuesday's vote, the likelihood of a no-deal Brexit increased again. 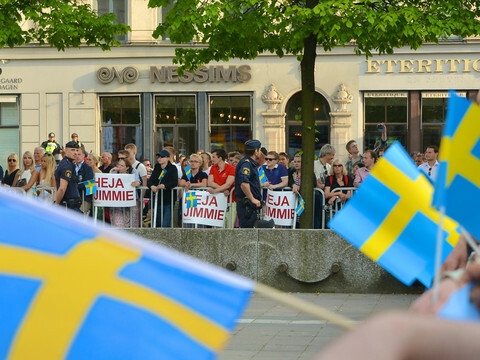 Preparations have been underway at both member state and EU-level to deal with the issues arising from that. EU officials warn that if there is no withdrawal agreement in place with the UK, there will be little appetite among member states to quickly start the negotiations with the UK on the future relations.